In various regions with diverse climatic conditions, achieving maximum availability and performance for a photovoltaic system presents a major challenge for planners and installers. 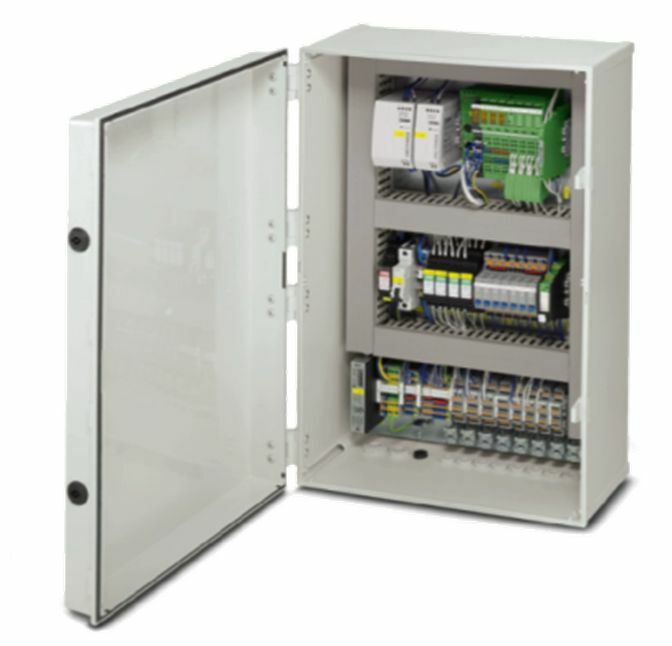 The important factors here are collecting and distributing string currents, protecting the individual modules against damage from lightning and surge voltages, and also monitoring the performance of the system. 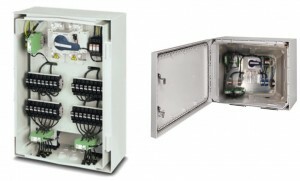 Thanks to the use of optimally coordinated components and communication interfaces, the string combiner boxes can be connected to a higher-level park management system quickly and easily. New compact SCB ( string fusing is done externally with new encapsulated string fuses – this keeps the SCB cool and reduces its size considerably!). A solution for the evaluation of meteorological sensors for monitoring ambient conditions in utility-scale solar power plants. Evaluation of power control commands from master PLC and corresponding control of the inverters with respect to effective and reactive power. In recent years, the programming standard IEC 61131 has become established in automation technology. 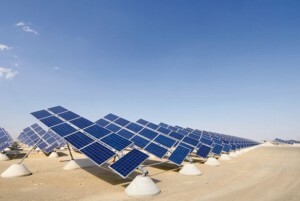 This standardisation provides many advantages that can also be used for the solar industry. 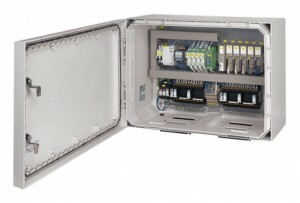 The Solarworx function block libraries are optimally tailored to our Inline and Axioline automation systems. 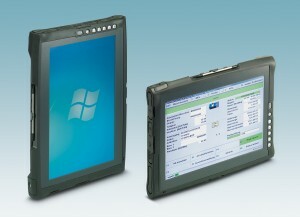 For the user, this means less complex and more functions during planning and implementing solar projects. Training times and therefore costs can be kept low and system documentation becomes more transparent. In order to keep risks during project planning and implementation as low as possible, EPCs require flexible and scalable concepts for photovoltaic systems as well as calculable software engineering options. System integrators, however, set value on the compatibility of the individual park devices, such as string combiner boxes, inverters, energy meters and power managers. Often, system integrators are lacking the staff and know-how that they would need to implement programming for the automation of a solar park themselves. Setup and start up must be implemented quickly to enable prompt supply of the network with the generated current. Companies charged with the operation and maintenance of photovoltaic systems usually depend on fast error detection and troubleshooting. 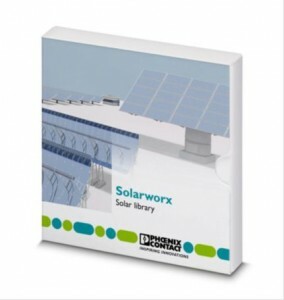 The Solarworx function block libraries were created to make the creation and startup of photovoltaic projects with automation components easier and faster. This facilitates the planning and implementation of photovoltaic projects. The customer does not need to have in-depth programming knowledge as the pre-programmed blocks must only be connected with one another. Solarworx offers three different function block libraries for different tasks during the implementation of photovoltaic projects. The following figure gives an overview of the Solarworx structure. So far, there are three function block libraries: Solar Basic, Solar Advanced and Solar Add On. Phoenix are currently working on additional function block libraries, which will be released soon. 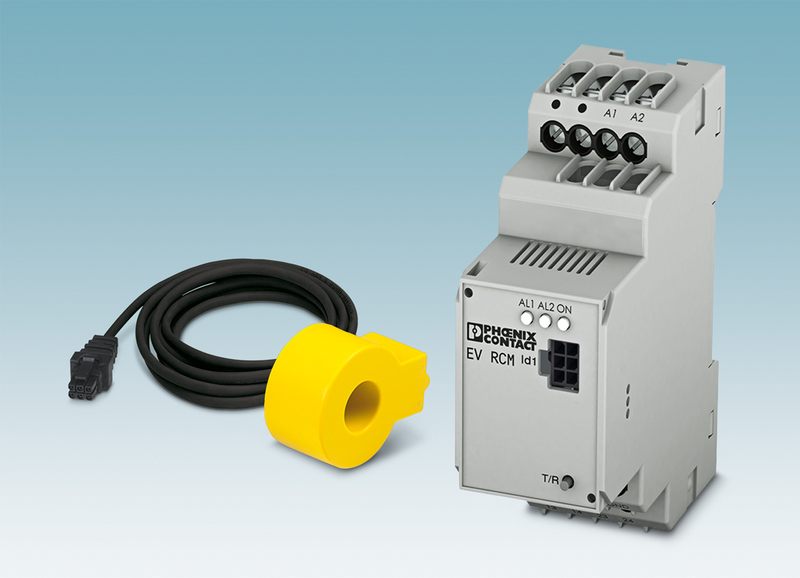 With the new EV RCM residual current monitoring modules, Phoenix Contact fulfills the standard requirements according to IEC 61851-1 as regards DC residual current acquisition in charging equipment. According to current draft standards in charging infrastructure, in the future, either a Type B residual current or alternatively a Type A residual current with additional detection and shutdown equipment will be required in the case of DC residual currents > 6 mA. This should ensure that any occurring DC residual currents, e.g., due to insulation faults in the vehicle, do not have a negative impact on safety equipment in the infrastructure. The modules detect AC and DC residual currents and the charging process is aborted before the residual current can affect the installation. The RCM modules are compatible with the EV Charge Control series of charging controllers from Phoenix Contact. This means that the residual current modules can be automatically reset and even carry out an automatic self-test. This lowers costs for service operations and increases the availability of the charging station. The module is available in a single- or two-channel design and can therefore be used to monitor residual currents in a domestic charging station or at commercial charging points. Modern industrial networks increasingly require mobile workflows and remote-controlled processes. The configurable tablet PC not only has a corresponding design and comprehensive accessories, but it is also optimized for use in the service environment. Thanks to its reduced weight of just 1800 g, it is very easy to transport. The devices have IP54 protection, IP65 on the front, and are suitable for use indoors and outdoors. A 10-finger multi-touch display and Windows 7 or 8 with the latest fourth generation Intel processor architecture ensure easy operation and high performance. For wireless connection to an existing network, wireless communication is possible via WLAN 802.11 a/g/n, Bluetooth 2.0 Class 1, and Class 2, and a UMTS/LTE data communication module is optionally available.